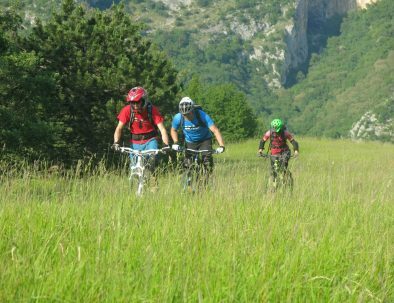 We specialize in guided mountain bike trips around Bovec and Kobarid which offer you specifically chosen epic singletrack descents in the Soča Valley region. The best trails are often the ones that aren’t marked out on the trail map, and these are the places we would like to take you. 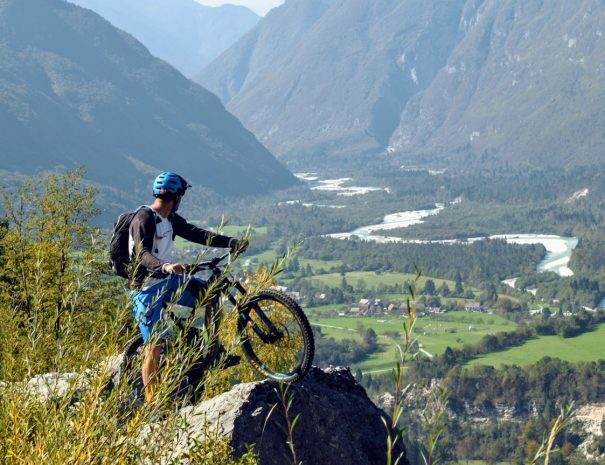 Trail riding, x-country, all-mountain, enduro,...whatever your cycling style is, Soča Valley's got the perfect terrain to suit everyone's kind of ride. 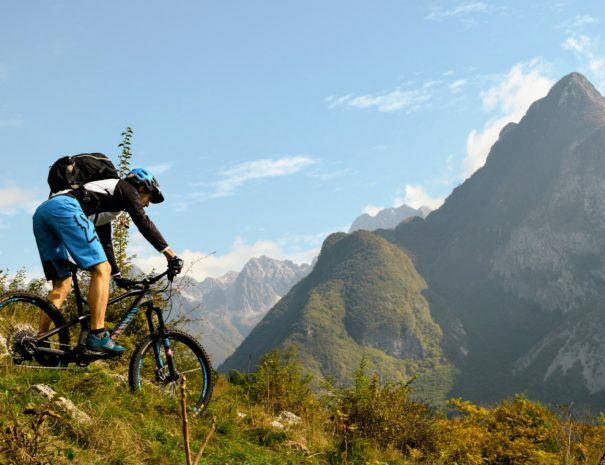 Join us on the ultimate mountain biking holiday in Slovenia. We provide an adventure like nothing you've ever experienced before. 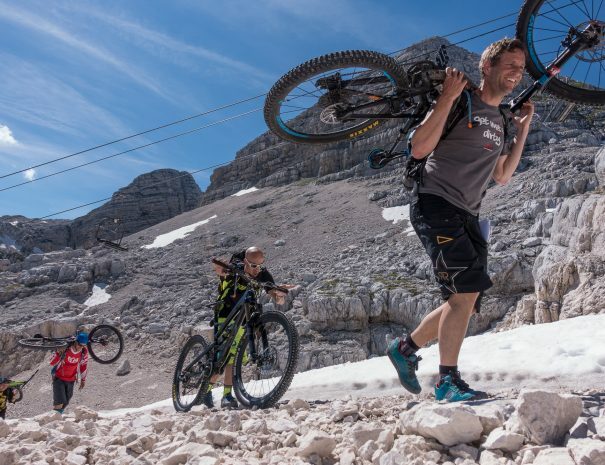 Slovenia’s beautiful and diverse landscape with the influence of the Mediterranean climate means that mountain biking here can be enjoyed almost year round. We are offering more than 50 most attractive, some still unknown trails, in Slovenia and some of them in Italy and Croatia. 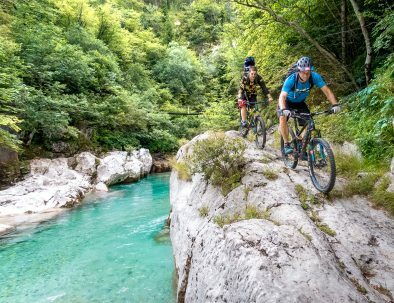 We'll mountain bike trails around Bovec, Trenta, Kobarid & Tolmin to explore and discover the most secret parts of amazing Soča Valley region! 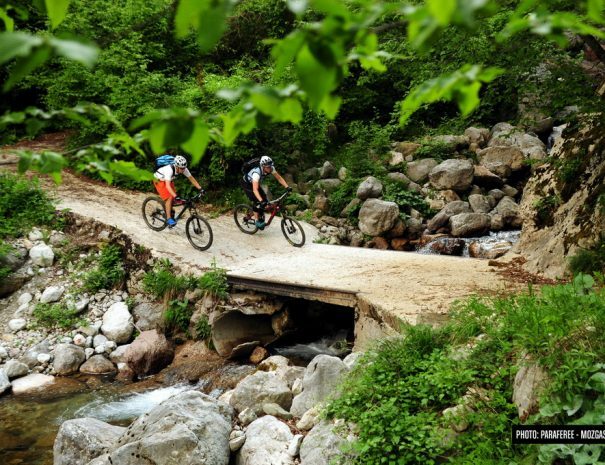 First, ride the best MTB trails of Western Slovenia. Then, go tasting excellent wines and eat delicious homemade food in good company. 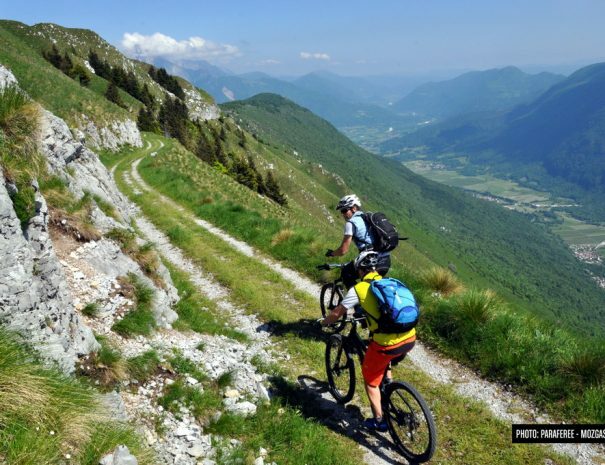 Spectacular single-track descents awaits you in the always sunny part of Coastal Slovenia. How does washing off the dirt from your face in the Adriatic Sea sound like? 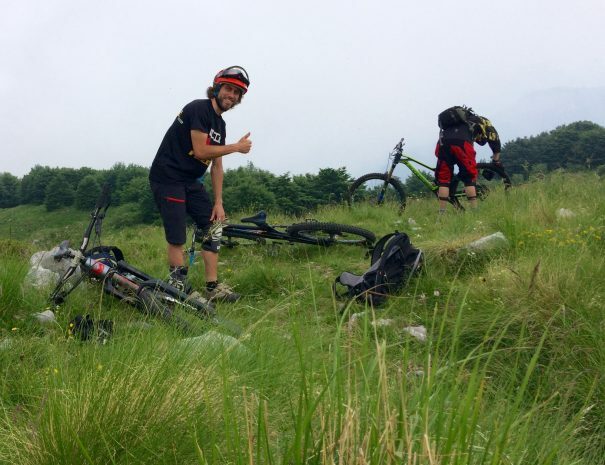 What to expect from a MTB trip in Slovenia? 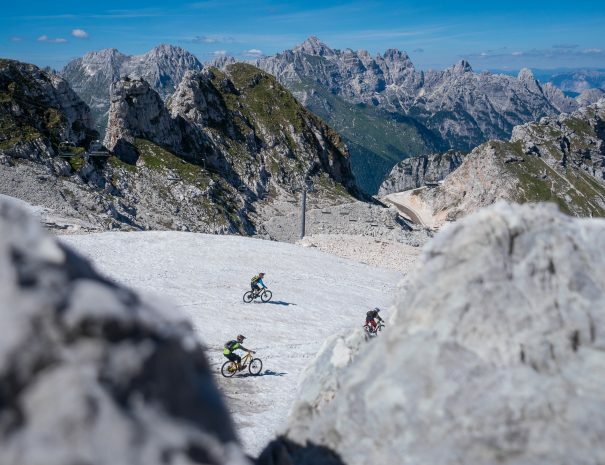 Snow-capped mountains, lush pine forests, drinkable pure waters, amazing waterfalls and fresh summer air can all be enjoyed from the upper part of Soča Valley to the Soča delta and the picturesque Slovenian Istria in the Southwest. The departure location and time varies for each tour. Hotel pick up & drop off is possible most of the times. 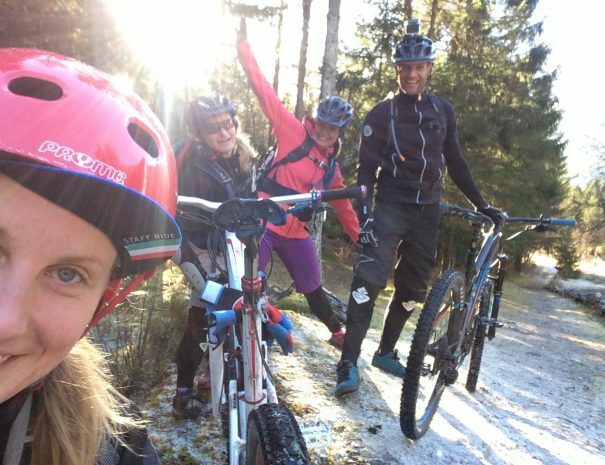 We offer MTB trips almost year around. However, weather is difficult to predict and we recommend checking it prior arrival. 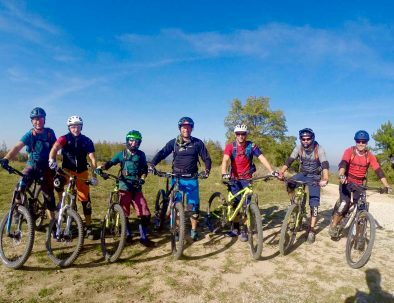 All our MTB trip leaders are fully licensed and certified MTB guides. 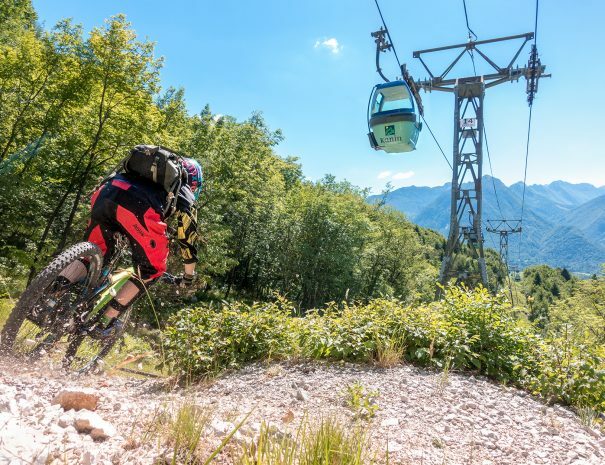 Contact us in advance to book your bike hire & we’ll hook you up with the best MTB rentals for your mountain bike holiday in Soča Valley & Slovenia.